FUGUS Post UTME Form 2019/2020 | Cut off Mark and Registration Guide. If you are searching for ‘FUGUS Post UTME Registration Admission form for 2019′ This page is all you need. Explore. 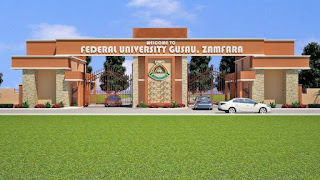 The management of Federal University Gusau, FUGUS wishes to notify all aspiring candidate that the post UTME admission screening form for 2019/2020 has been released. Interested applicant should follow the lead below for successful application. The minimum accepted cut off mark from each candidate is 180. This is to inform th public especially the 2018 Post UTME candidate who applied for admission into Federal University Gusau, FUGUS That the 2019/2020 Post UTME Form is now available online. The University wishes to announce that all applicants who applied for admission into Federal University Gusau for 2019/2020 Academic Session, and scored at least 160 marks for UTME, while Direct Entry(DE) must have at least Lower Credit at National Diploma from a recognized Institutions or at least scored 7 points in their NCE or IJMB results and chose the University as their First Choice,that they shall register for the Post UTME Screening Exercise. Candidates who chose FUGUS in the 2019 Universities Tertiary Matriculation Examination (UTME) and scored 180 or above for screening. Federal University Gusau requires all candidates applying for admission into any of its courses to possess five credit “O” level passes. How to Apply for FUGUS Post UTME. To register, candidates are required to log onto FUGUS website https://www.fugus.edu.ng/, follow the link provided for the registration to generate a Remita invoice to make payment of two thousand five hundred naira only (N 2, 500) including Bank charges for the exercise. Venue:University Permanent Site, along Gusau-Zaria Road. Alvan Ikoku College of Education Post UTME Form 2019/2020 [NCE & Degree] | Cut off Mark and Registration Guide. NSUK Post UTME Form 2018/2019|Cut off Mark and Registration Guide.